EVERY CUABA IS MADE IN THE DISTINCTIVE SHAPE KNOWN AS DOUBLE FIGURADO. This was the style that at the end of the 19th Century was all the rage for Habanos. A century later, in 1996, this rich tradition was revived at the Romeo y Julieta factory where Cuabas are made. Double figurados are at the pinnacle of the cigar maker’s art and for this alone they merit a place in every cigar enthusiast’s collection. 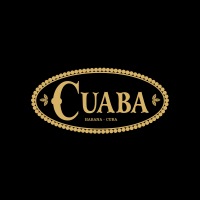 Cuaba, like Cohiba, is a Taino Indian word dating back to the time of Columbus. It was the word for a highly combustible bush, which the Indians used to light their “cohibas”. All sizes contain a blend of leaves from the Vuelta Abajo region and are “totalmente a mano, tripa larga” —totally hand made, long filler.